Liz Orton, The Longest and Darkest of Recollections (2016 – ongoing). The New Observatory at FACT, 2017. Photo by Gareth Jones. The New Observatory sees the galleries within FACT being reworked into an observatory for the 21st century. The exhibition is in collaboration with the Open Data Institute, and is described as exploring new and alternative modes of measuring, predicting, and sensing the world today through data, imagination and other observational methods. Through engaging with the evolving technological landscapes we find ourselves living within, we are presented with the opportunity to analyse our positions within a data drenched society. As a simplified introduction to the concept, the external areas of FACT feature circular mirrors which encourage the theme of seeing, reflecting and visualising from the outset, which is continued around the spaces. James Coupe’s multimedia installation, ‘A Machine for Living’ (2017) dominates the main foyer of FACT, which examines the power and meaning of surveillance, while undoubtedly introducing the viewer to the new themes they are soon to be personally engaging with. 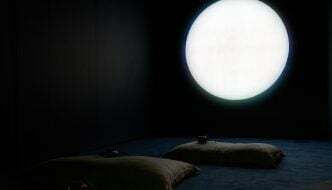 The viewer is then exposed to a dark and questioning environment on entry to the galleries, until the spaces are filled with a variety of technologies and creative outputs compiled of sensory explanations through artists’ work. 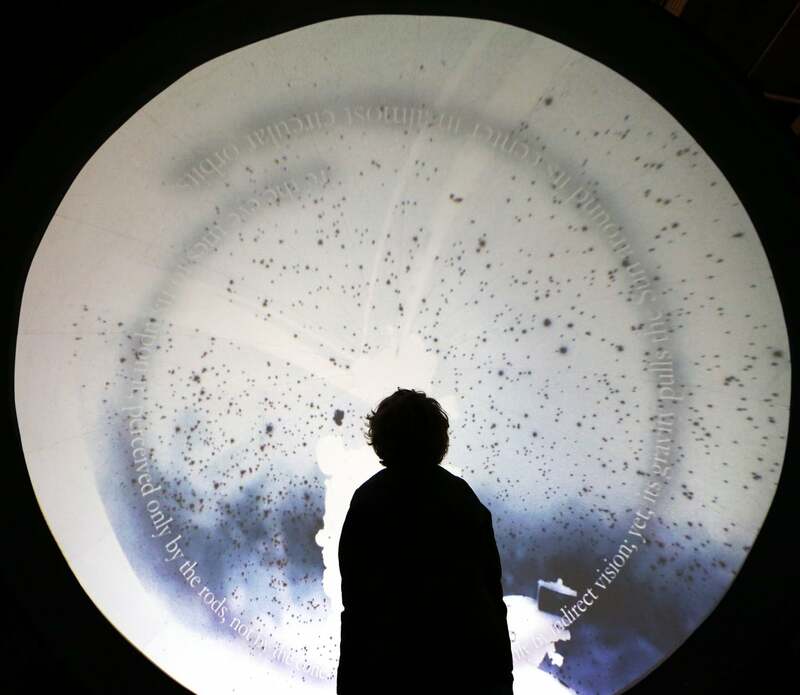 The observatory is a truly multi-sensory experience, allowing the viewer to see, hear, feel and sense themes including climate change, time, memory, relationships and privacy, which contribute towards the encouragement of personal connection. Through exploration of issues, concepts and themes which are seemingly contemporary, a key reference point to the exhibition is presented through Liverpool’s history of observatories. The Liverpool and Bidston Observatories’ use of scientific instruments for monitoring natural phenomena dates back to 1845, while the New Observatory aims to explore how similar concepts are being used as present day discussion. Within today’s society we are bombarded with statistics, visuals and manipulative information which feels normal and are accepted daily. This information is communicated in a variety of outputs and here, the viewer is given the opportunity to take back control and to interpret these impacts in a more personal and inquisitive way. The gallery spaces feature interactive works, installations, sound, film, photography, critical design projects, and features the world premiere of works by Thomas & Craighead (Recruitment Gone Wrong, 2017) and Natasha Caruana (Divorce Index, 2017 and Curtain of Broken Dreams, 2017). A multitude of sensory experiences are created through the variety of works, which blend together to create an atmospheric and thought provoking journey through critical thinking and exploration. The individual works featured in the exhibition follow their own trajectory, and with such a wide range of sensory outputs present in the spaces, the observatory environment creates a somewhat overwhelming place for those who may be looking for a simple viewing experience. However, with a sense of individual engagement relating to everyday life, the realisation that the exhibition is intended for more than simply a viewing experience can be understood. Perplexing visuals are presented by the fusion of art, astronomy and politics found within Jeronimo Voss’ ‘Inverted Night Sky’ (2016) while Stanza’s ‘The Reader’ (2015) depicts a more expected representation of near-future anticipation. 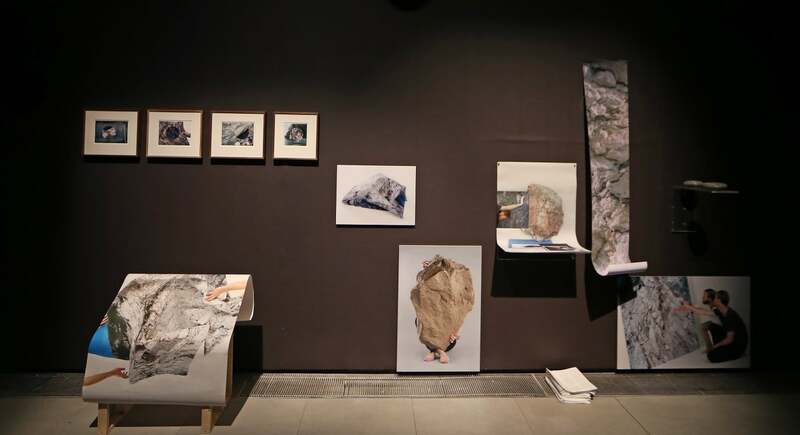 Across the gallery there are a vast range of creative, scientific and mathematical outputs to interpret, and the exhibition suggests a serious undertone and a sense of apprehension. However, this is met by a playful excitement for the future we are anticipating, with an undecided question mark over which of these suggestions is rightfully progressive. Some content within the exhibition feels like a literal interpretation of the theme, but this allows viewers who may be experiencing these analytical concepts for the first time the opportunity to engage and understand, before being exposed to more thought provoking works and responses. 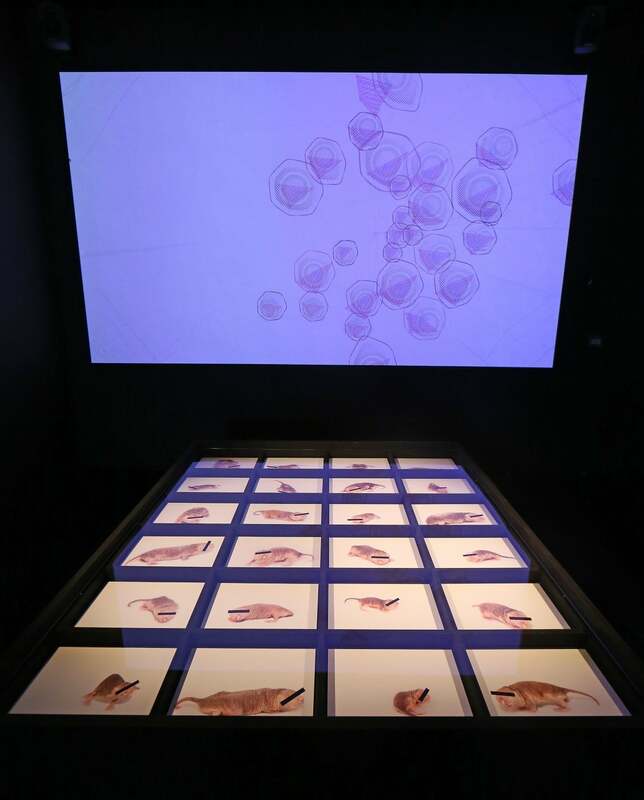 Julie Freeman, Rodent Activity Transmissions (RAT) systems (2016 – ongoing). The New Observatory at FACT. Photo by Gareth Jones. The purpose of The New Observatory is to encourage ‘observatories of ourselves’ in a culture where everyday life is subject to observation and we expect information to be presented to us within seconds. A more explorative understanding of the world and the questioning of our surroundings is critical to the exhibition. From this, the viewer can leave the galleries with an increased sense of scrutiny and continuation of thought. FACT is now a concentrated space for this wondering, and the exhibition inevitably highlights concepts which many will take beyond the gallery space and into the future of our society. Should we be worried about what happens when logic fails in a technology focused world? It seems The New Observatory is a great place to decide. We are presented with the opportunity to analyse our positions within a data drenched society. Within today’s society we are bombarded with statistics, visuals and manipulative information which feels normal and are accepted daily. 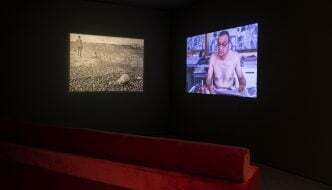 Across the gallery there are a vast range of creative, scientific and mathematical outputs to interpret.